The latest tip from serial leaker @OnLeaks (in a tweet since deleted) reaffirms the consensus that the next flagship smartphone from Samsung will feature “punch hole” cut outs in its Infinity-O display. 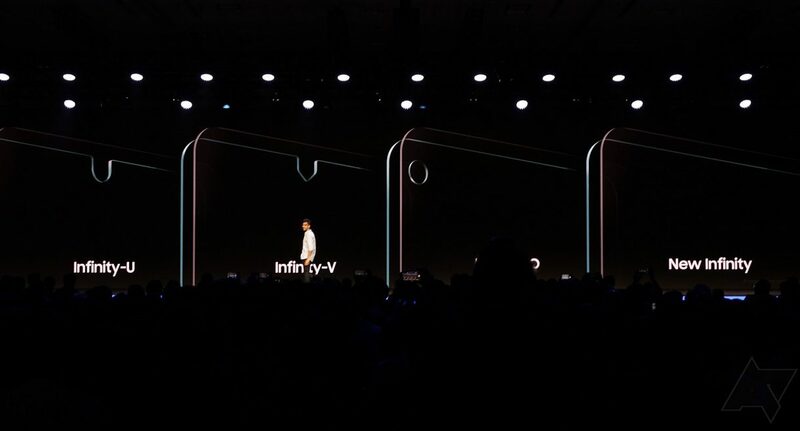 The only question yet to be confirmed is where exactly the front-facing camera holes will be positioned. Case maker Gear4 seems to think that they will be positioned in the center of the S10 line-up, which seems like the most logical position. Wherever they end up, they will certainly be a lot easier on the eye than devices like the iPhone Xs and Pixel 3 XL, which have much more intrusive notches. The rest of the details made public in Gear4’s leaked internal presentation also align with details that we’ve previously gleaned about the 10th anniversary flagship smartphone from the Korean tech giant. 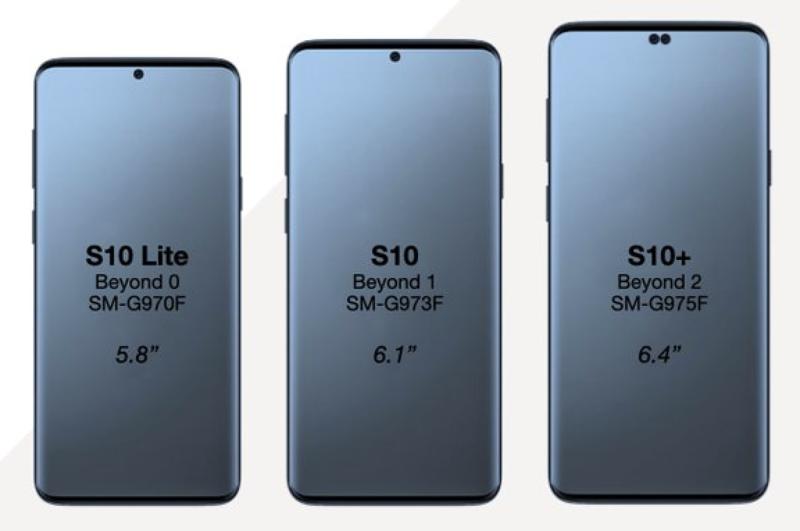 These include 5.8-inch, 6.1-inch and 6.4-inch display sizes for the Galaxy S10 Lite, Galaxy S10 and Galaxy S10+ models, respectively. Both the 5.8-inch and 6.1-inch models will pick up a single selfie camera, while the S10+ will score a groufie camera as well. The regular S10 and S10+ will score the latest Snapdragon 855 and Exynos 9820 silicon, depending on market. 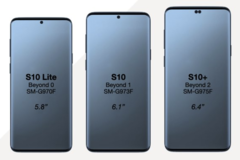 The S10 Lite will probably be fitted with either the Snapdragon 845 or Exynos 9810, again depending on market, but will still naturally be a solid performer. There is the potential for Samsung to release a 5G variant, but only in limited quantities, and we wonder whether this model could get the completely notches New Infinity display with a selfie camera embedded within the display itself. All will be revealed at the official launch tipped for February.